Welcome to Sustainability Week! 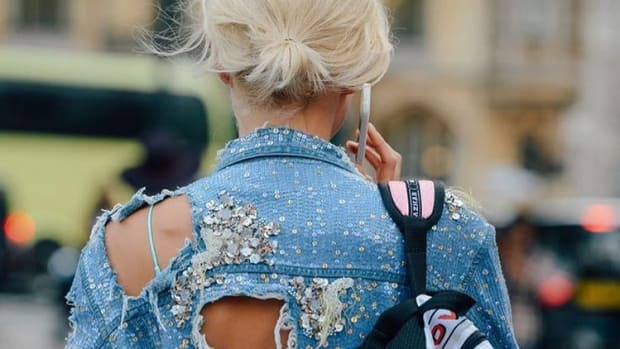 While Fashionista covers sustainability news and eco-friendly brands all year round, we wanted to use this time around Earth Day and the anniversary of the Rana Plaza collapse as a reminder to focus on the impact that the fashion industry has on people and the planet. 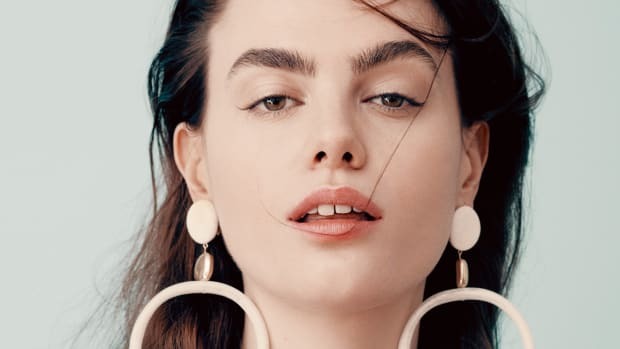 It is a much commented-on fact that the next generation of cool-girl models is becoming perhaps as well-known for its activism as its looks. 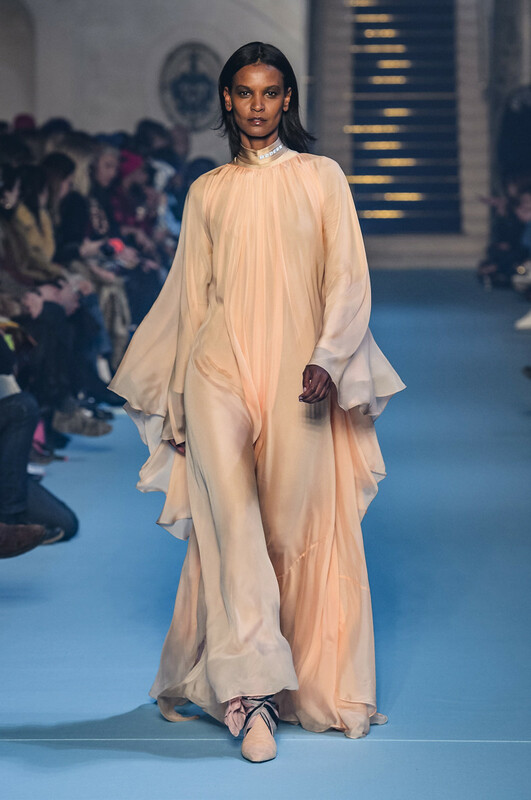 But before any of today&apos;s buzzy young stars were on the scene, Liya Kebede was one of the models paving the way with her outspoken maternal health advocacy, charitable foundation and ethical fashion label Lemlem. And those aren&apos;t things the Ethiopian model started to keep herself busy during an early retirement. On the contrary: She&apos;s maintained a thriving and remarkably long-lasting modeling career since the early 2000s, walking for Louis Vuitton and Calvin Klein and covering magazines like Elle and Vogue. It was a few years after she signed an exclusive with Tom Ford-era Gucci and covered French Vogue for the first time that Kebede was approached by the World Health Organization to ask if she&apos;d be interested in helping raise awareness about maternal health. "Having grown up in Ethiopia, I saw mothers die in childbirth all the time," Kebede says. "When I had the chance to have my kids in New York and see the incredible gap between a woman delivering in New York versus a woman delivering in a place like Africa, I just felt that it was the best thing for me to be a part of something and help raise awareness of the issue." After serving as the WHO Goodwill Ambassador for Maternal, Newborn and Child Health for two terms, Kebede decided to take things a step further by starting a foundation that could provide direct and ongoing solutions for maternal and child health issues in Africa. It wasn&apos;t long after that she decided to also start her ethical fashion label Lemlem, which was conceived as a way to save the dying art of weaving in Ethiopia and now employs over 200 artisans. We hopped on the phone with Kebede to talk about finding longevity in a notoriously fickle industry, charting a path when the ethical fashion space was brand-new and the importance of giving back. You&apos;ve had an incredibly long-lasting modeling career. Was there any fear when you first got started that you might not last because of fashion&apos;s obsession with youth? I think it&apos;s on everyone&apos;s radar as a model — you know that it&apos;s a very finicky and very fragile career. It&apos;s a very fast-moving industry. What would you attribute the longevity of your own modeling career to? A lot of it is so subjective. I got really lucky to work with incredible people who keep supporting me — I&apos;m still working with a lot of people I&apos;ve always worked with. I honestly don&apos;t know that you can say, &apos;It&apos;s because I did this and this and this.&apos; It&apos;s timing, it&apos;s luck and it&apos;s building great working relationships. Obviously you have to work really hard. That goes without saying. I also think the things I&apos;m juggling now are adding another element to who I am and I&apos;m becoming more interesting to people because they want more from a model now. How did you first get connected to the WHO? Did you always have that drive to be a part of something bigger? I feel like that came from just growing up in Ethiopia. You see a lot of problems around you, and so you kind of want to help in some way. It&apos;s an extension, almost, of the culture. You know in the back of your mind that you&apos;re gonna do that at some point. I didn&apos;t know I was going to be able to do it in this capacity. I count myself lucky. Tell me about the process behind starting your clothing line Lemlem. About 10 years ago, on one of my trips to Ethiopia — my family&apos;s still there so I go pretty often — I visited this area where artisans weave all our traditional clothing. Before, women used to wear it pretty much every single day of their lives, and now it&apos;s just gotten down to special occasions. So the art of weaving was dying. These weavers didn&apos;t have a market for their goods anymore. I wanted to help with that, and the idea that I came up with was a brand of hand-woven clothes. I started by doing children&apos;s clothing for about a year or two, then extended to women&apos;s.
Now there&apos;s been ten years of Lemlem and we&apos;ve actually decided to rename the [formerly Liya Kebede Foundation] with Lemlem so that all of the communities around Lemlem would be aware of the work we&apos;re doing with the foundation. We&apos;re also expanding our reach to help our artisans with business skills. When you did decide to start your foundation, how did you go about it? That seems like a pretty big undertaking. Everything looks daunting when you&apos;re trying to solve all the problems at the same time, so I just kind of took one step. And then you take the next one and the next one. What were some of the biggest challenges you faced at the beginning of Lemlem? It was almost a shot in the dark, because there was no model or other setup that I could look at. We were the first to do a lot of things. So that was hard: the logistics, the shipping, communication, having issues with internet, not being able to get through. But we stuck to it, and we&apos;re pretty committed to the idea. Because at the end of the day, it&apos;s a social enterprise. As far as charity goes, you&apos;re always going to be asking for money. Whereas I think if you can enable people [to make money themselves], it&apos;s much more sustainable. We&apos;re enabling people, we&apos;re hiring, we&apos;re employing, we&apos;re skill-building, and then they go on and help their families and send their kids to school. We can break the chain of poverty that way. And also, we want to change the idea that people have of what Africa is. We&apos;re saying, look at these beautiful pieces we&apos;re making there. Is there any tension between being an advocate through Lemlem, and also working as a model with other brands that don&apos;t necessarily share Lemlem&apos;s values? I think there&apos;s space for everyone. I think everyone should be aware and do the right thing, but I don&apos;t necessarily see it as a tension. I&apos;m not preaching for everybody to do it like we do it. Everyone has a different capacity and everyone has to find their own way that they can adapt. Do you feel like you&apos;ve seen a shift toward greater awareness of ethics beginning in the industry? Yes. Every fashion conference now they&apos;ll have a sustainability talk. It&apos;s on everyone&apos;s radar and it&apos;s something that everyone wants to focus on to some degree. How has sustainability played a role in Lemlem&apos;s ways of operating? Sustainability is not necessarily just connected to environment or materials. We&apos;re helping preserve the art of weaving; we are doing a sustainable model for artisans to work and help their families. For me that is what sustainability is. Do you feel like you&apos;ve seen a change in how consumers relate to the ethical or sustainable fashion space over time? I think that the reason there is so much pressure towards ethical or sustainable things is because the consumer is asking for it. Consumers are wanting to participate in their own way, and they don&apos;t want to be unaware. There&apos;s so much more activism now. Today, you cannot not be an activist. You just can&apos;t stand back anymore and do nothing. 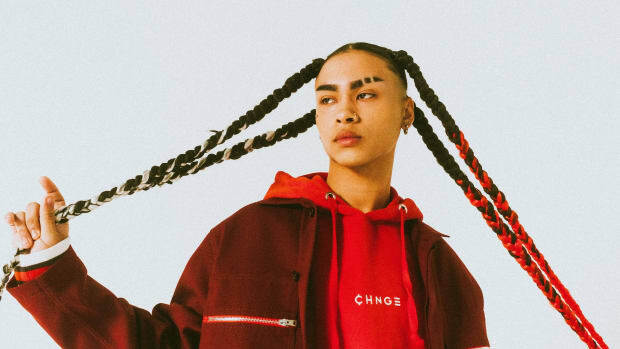 Do you think that fashion can be a force for genuine change? It&apos;s always been a force for change, from the beginning. It pushes everything forward. It looks to the future always. When they invented the pant for women, suddenly she&apos;s wearing a pant where before she was always wearing a skirt… And look at where we are now. As simple as that. What advice would you give to a young fashion person who wants to do more to give back? It&apos;s going to be challenging, but everything is challenging. I&apos;d say great, go for it! Street-appropriate clothes for people who care about garment laborers and the planet. It's the passion project of a stylist who cut her teeth at "W," "Vogue" and "Harper's Bazaar."